This is not just a recovery book. Among other things, it is a classic book on identifying and working through unresolved family issues. Includes affirmations, visualizations, inner voice and feeling exercises. Strong supporting studies make this a popular book with counselors and other professionals. John Bradshaw (1933-2016) has been called "America's leading personal growth expert." The author of five New York Times bestsellers, Bradshaw On: The Family, Healing the Shame That Binds You, Homecoming, Creating Love, and Family Secrets. He created and hosted four nationally broadcast PBS television series based on his best-selling books. John pioneered the concept of the "Inner Child" and brought the term "dysfunctional family" into the mainstream. He has touched and changed millions of lives through his books, television series, and his lectures and workshops around the country. During his career he worked as a counselor, theologian, management consultant, and public speaker, becoming one of the primary figures in the contemporary self-help movement. Ah. So It has a name. That feeling that follows us through years and years, that keeps eating at us and deteriorating our life. At first you double the efforts to keep on functioning and achieving ("put your back into it!"). Some achievements come with that. But you feel increasingly drained, fearful of disasters and failure (which can lead you smack into some of them btw), and just so gd tired. And weirdly empty, disconnected and phony even to yourself. Soooo.... bit by bit you keep on trying to quench that nagging dissatisfied thirst with... well, just plain more. More work. More "fun" (a world of problems here, none of them fun at all). More money. More shoes. And always thinking "when I get that new (i) car (ii) job (iii) promotion (iv) title (v) ring etc etc etc, I'll feel better. More serene and real. I'll find "my" place, where I "belong"". One therapist once told me that this sounded like "when I grow up...". I never forgot that. This book is important. To me, it was an absolute revelation. If you identify with anything I wrote above, check this book out. It brings an almost immediate feeling of relief. What happens after the first eureka moment is up to each one of us and our individual stories. But, as a group, it's like realizing your symptons are documented and part of a disease that afflicts a lot of people and not just you - and which CAN be treated; which has nothing to do with your real identity. And that place? Where we belong? It's right there inside each of us, patiently waiting for us to come back. I'm trying to find my own way back, and this book was the most precise and clearest "guide" I found so far. For the first time in my life, I feel like I'm on my way. Using the right road and all. At the right pace. I do wish I had come across this before. But then again, time and place for everything, right? My second time around for this one--a little less challenging this time, but so very appropriate and the beginning of healing--and I am an old (81) lady now. Much of my shame was self-imposed, not following my own moral/ethical rules and shaming my self. 5.0 颗星，最多 5 颗星Informative, cleansing, and supportive read. Very eye-opening. 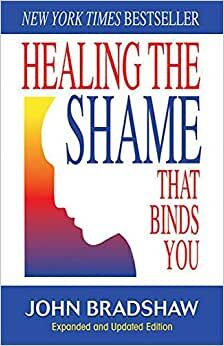 Bradshaw writes a compelling book on the inner tormentor that has poisoned and ruled so many of our lives. From a genuine and soul-affirming account of the author's own personal childhood shaming trauma, to treatises on how shame develops psychologically, to chapters of how to combat and console wounded characters, to a (too) brief treatise on the numinous and spiritual, Bradshaw covers nicely the various facets of what it means to be shamed toxically, and how to recover and even thrive. Whether for personal self-help, or to learn perhaps academically on the topic, or even as an aide to therapists and their ilk, I highly recommend this book as an eye-opener on this "daimonic" (all-encompassing) facet of life. 5.0 颗星，最多 5 颗星This book was a life saver....i had anxiety disorder!!! Had terrible anxiety attacks....couldn't help myself until i read this book!!! it really was a lifesaver!